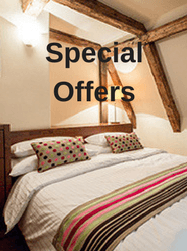 The Nicholas Hotel Residence is located in the sweet spot between Prague’s most famous monuments and its hidden secrets waiting to be discovered. The Castle is one Prague’s most important monuments, rising high just above The Nicholas Hotel Residence. It dates back to 9th century when its first building, the Church of the Virgin Mary was walled. Since then, it has been built upon and expanded with each following century. Today, it is one of the biggest castle complexes in the world and one of the most beautiful ones too. The castle is dominated by the fascinating St. Vitus Cathedral. What started as a Romanesque church dedicated to St. Vitus in 10th century, was re-commissioned as a grandiose Gothic Cathedral by Charles IV in 1344. Today, it houses Bohemian Crown Jewels, including a crown made for Charles IV’s coronation in 1347. Mala Strana, a picturesque little neighborhood will charm you with its low brightly colored houses and narrow cobblestone alleys. South gardens will provide a beautiful view on on the city and Vltava river, and Belveder garden will give you a chance to enjoy frequent contemporary art exhibitions. 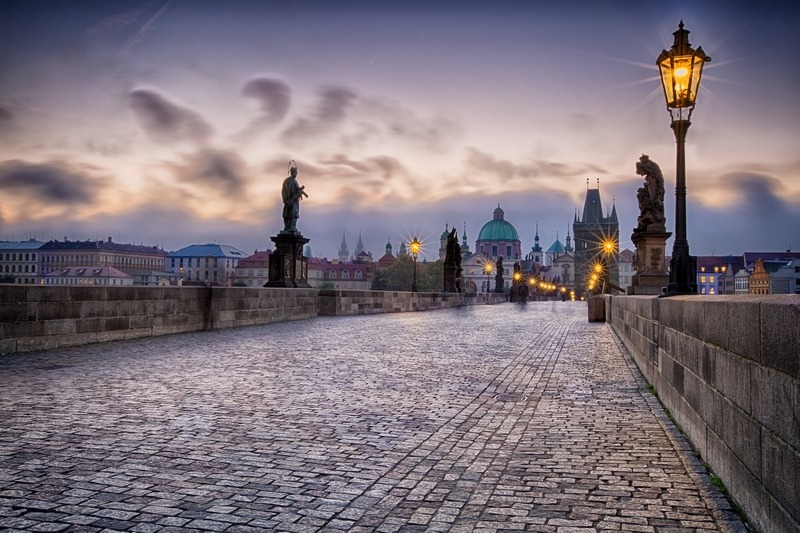 Throughout its history, Prague Castle has been a home to numerous important persons. Holy Roman Emperor Charles IV ruled from the castle in 14th century, as well as Holy Roman Emperor Rudolf II in 16th and 17th century. Famous Czeck writer Franz Kafka lived here in 1916, staying in his sister’s house in the famous Golden Lane, a series of colored miniature cottages. In 1918, the castle became a seat of Tomaš Garrigue Masaryk, the first president of Czechoslovakia in 1918. Today, Prague Castle is official Residence of Czech President, as well as a place where numerous cultural and other events take place regularly. 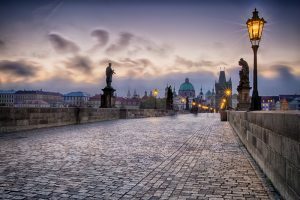 For a long time the only way of crossing the Vltava river, Charles Bridge contributed to the city’s importance as an east-west trade route. It was commissioned by King Charles IV, who allegedly used astrology to determine many aspects of its construction. With three bridge towers, it is lined on both of its sides sides by statues, as well as by many street vendors. 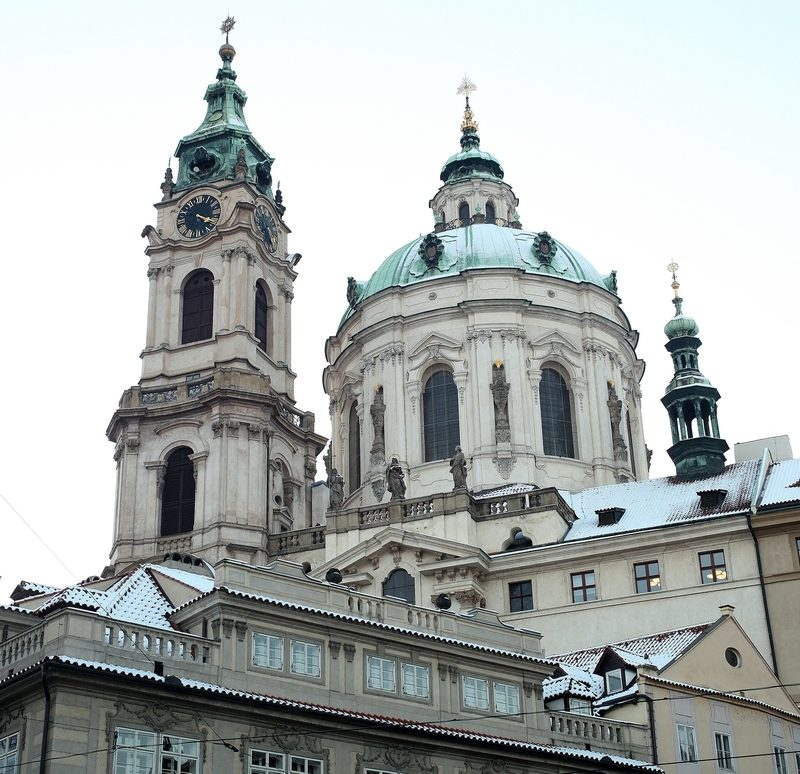 The Nicholas Hotel Residence shares its name with the beautiful Baroque Church of St. Nicholas. 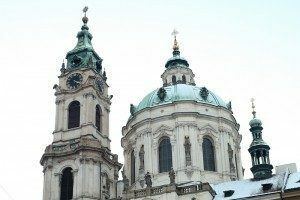 Built in 17th century, it has been described as “the most impressive example of Prague Baroque” and “without doubt the greatest Baroque church in Prague”. Its Baroque organs, with over 4000 pipes, were famously played by Mozart in 1787. Old Town Square is the natural center of the old town. It is an impressive sight, hidden between narrow alleys and a home to the majestic Týn Cathedral and St Nicholas Church. The square’s centerpiece is Prague Astronomical Clock, a sophisticated piece of medieval machinery that has been keeping track of time for more than 600 years. The world famous Prague Christmas Market takes place here, as well as many others regular events. Located between the Old Town Square and Vltava river, Jewish Quarter became home to Prague’s Jewish community in 13th century after they were ordered to move to this area. Over the centuries, Jews in Prague created a beautiful place for them to live in, only for the area to be almost completely remodeled at the start of 20th century. Luckily, six synagogues were saved, as well as Jewish Ceremonial Hall and the Old Jewish Cemetery, forming the best preserved complex of historical Jewish monuments in the whole of Europe. Wenceslas Square is a historically important site where Velvet Revolution demonstrations took place in order to overthrow communism in 1989. A long boulevard lined with numerous shops, the square is a business and commercial center today, and a venue for numerous markets, concerts and various other events. The National Museum Main Bulding sits at the top of the square, while the pedestrian area at the bottom connects it to the Old Town Square.